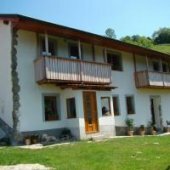 The apartment is located in a sunny and quiet location at the end of a small village just below the crag Bitnje and close to the Sava Bohinjka and Ajdovski Gradec. 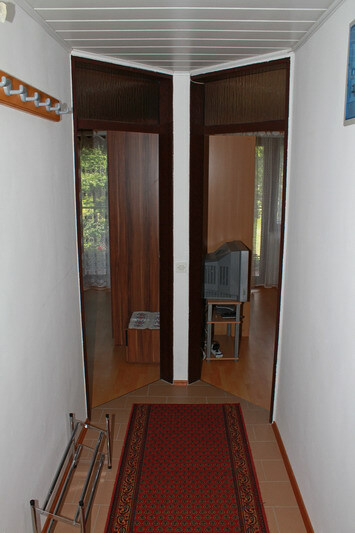 In its offer they have a comfortable and modern furnished apartment. 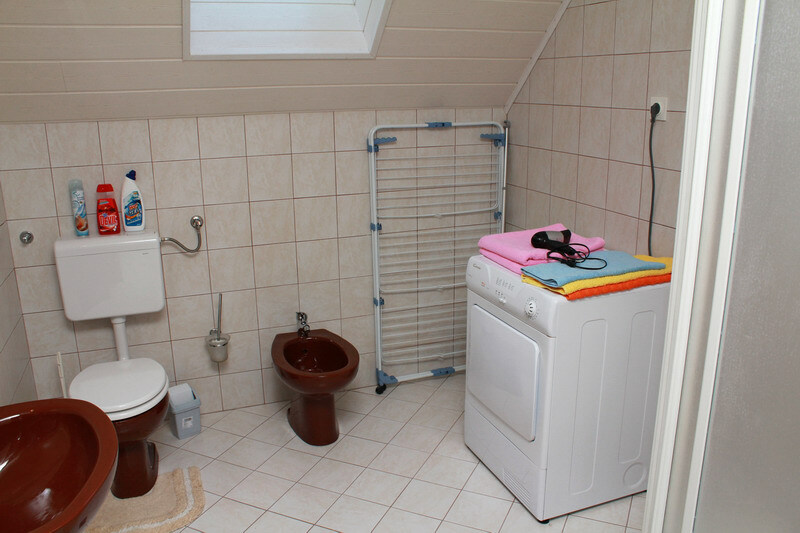 The apartment has TV, cable TV, Internet, telephone, central heating, washing machine and dryer, iron, extra bed for a child and a hairdryer. Pets are allowed. 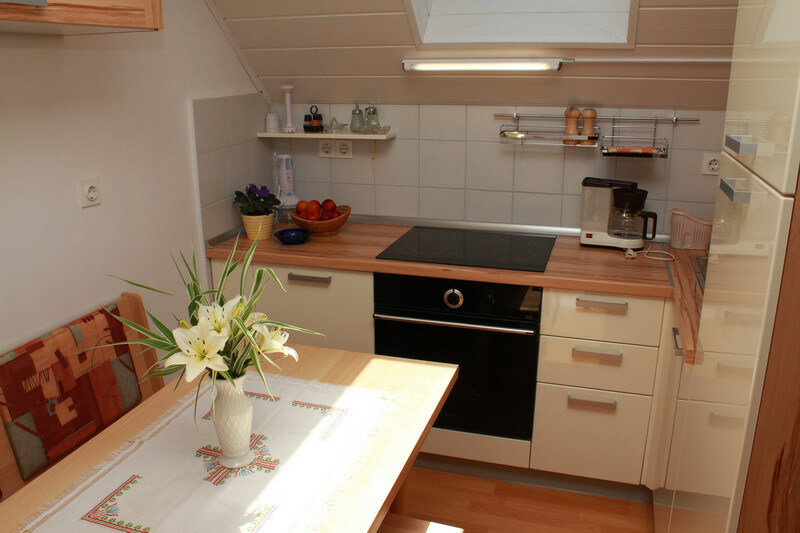 They offer an apartment for 6 persons with two triple bed rooms, modern kitchen and bathroom. The balcony has a wonderful view of the mountains below: Lisca, Crna prst, Rodica ... In front of the house is a swing and playground with basket. Our guests can relax in the shade garden and a barbecue or they can rent bicycles. Guests can walk around the vicinity of the shelter forest and the river is. 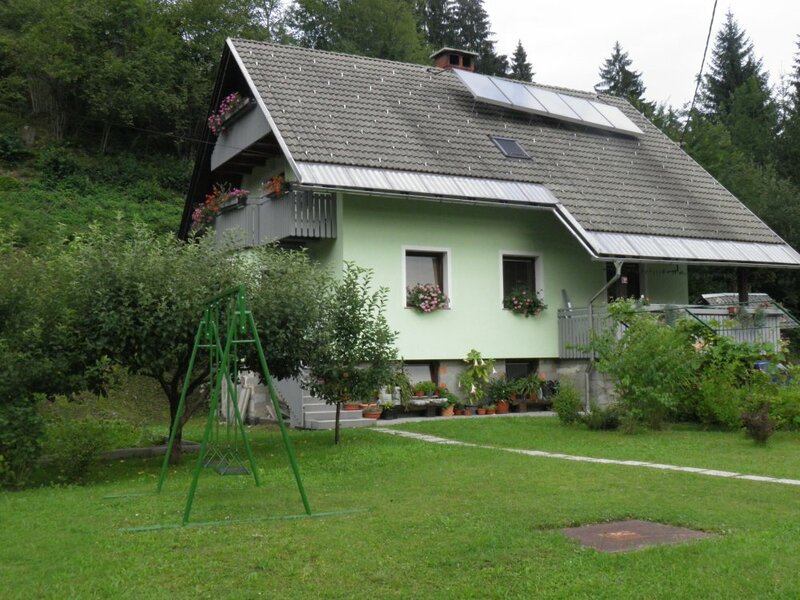 Our village is near the newly built bike trail to the lake and fishermen well known Sava Bohinjka. You can also cool in River Sava in the summer. In winter, guests have the opportunity to cross-country skiing or ski at nearby ski resorts: Kobla, Vogel, Senozeta and Soriska planina and enjoy the Aquapark Bohinj. In the nearby area are also excellent restaurants, shops, post office, bank, pharmacy. Their apartment is suitable for families with children, guests with pets, fishermen, hikers and climbers. In around Bohinjska Bistrica are huge attractions for sports enthusiasts, as well as for those who want to relax in the great outdoors.